Loose clothing recommended to allow ease of movement. 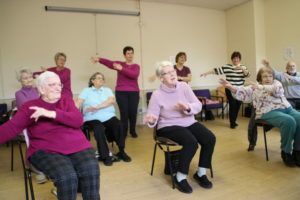 Fun dance session followed by coffee & tea break, then sing-along to your favourite songs. Inclusive for all ability levels whether you are standing, seated or supported. 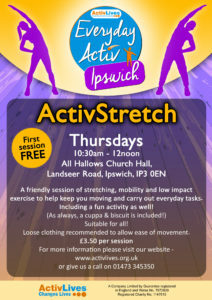 £5.00 per session – first session FREE to new members!